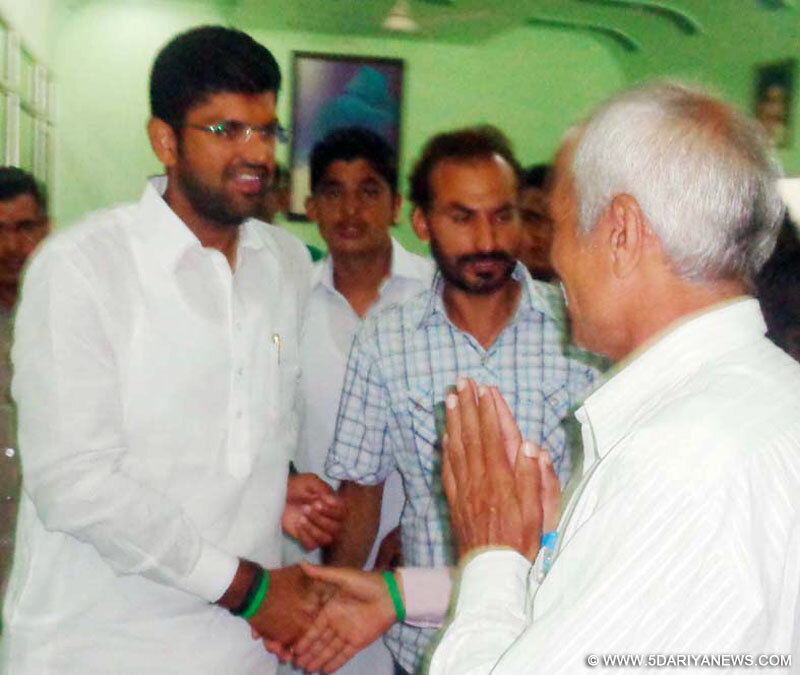 INLD MP from Hisar Dushyant Chautala today criticized former Congress leader and now a BJP man, Chaudhary Birender Singh by stating that people of Haryana are now aware that turncoats like Birender are having no future in the politics of this state.“After tasting the sweets of ruling under Congress rule for nine years, now Chaudhary Birender has joined BJP and he is seen asking the people to support him in the assembly polls. Its height. How can one person befool the public to such an extent? If while remaining a strong leader from the Congress,when the party was having governments at the Centre and in the state, he has badly failed to resolve the problems of the people of this area, why the folks of Haryana would believe them,” said Dushyant while addressing media after taking the meeting of party workers in the Jind party office today. Notably, the INLD MP is also candidate from Uchana assembly seat from where Chaudhary Birender’s wife Prem Lata Singh is contesting the poll as the BJP candidate. “Uchana Kalan has always remained a home for the INLD ever since Chaudhary Devi Lal used to run the political affairs of the party and the party stalwart throughout his political life has nurtured this constituency terming it as his personal home. Chaudhary Om Parkash Chautala also served this segment and now the party thinks, I should serve the party here and people of Uchana. Birender and his family must take into account that people of Haryana likes a true personalities not a turncoats like him, who are always with those parties who are running the governments,”said Dushyant. Addressing the party workers, Dushyant exhorted them to donate atleast 20 hours per day to the party till the assembly polls are over and ensure victory of the INLD candidates.“Once we form a government, it would not be a government of an inpidual or a family, it would be a government for the INLD workers and the common man of Haryana without differentiating them on any caste and creed. Our workers are the backbone of our party and after forming the government, the workers would be one of the top most priority of Chautala government,alongwith the common masses,” said Shri Dushyant Chautala.